Thank you for choosing a genuine Pet Thing for your pet. Pet Thing will provide for your pet’s needs in many ways. Before introducing Pet Thing to your pet or household, please consult these instructions in their entirety, to avoid any problems or complications resulting from improper use of Pet Thing. 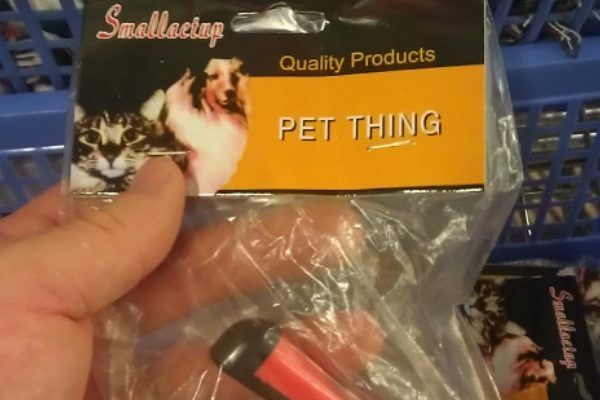 First, be sure to take Pet Thing completely out of Pet Thing’s packaging. Trying to use Pet Thing while still inside its packaging will result in improper use. Make sure to put used packaging in an appropriate receptacle. Second, Pet Thing should never be used as pet food, or in any other unauthorized manner. Remember, federal law prohibits using Pet Thing in a manner inconsistent with its intended use. Pet Thing is not a thing intended for humans or other non-pets. Finally, be sure to contact Pet Thing technical support if you have any problems or concerns. Call, write or text us in the usual way. We hope you and your pet have many hours of enjoyment in a world that includes Pet Thing!